Are Edmonton's forwards good enough to compete? My apologies in the delay yet once again in my article's. I am producing at a slower rate then Tamby ran the Oilers. I appreciate the faithful ones who support and continually ask when I will have my next blogs up. While finalizing the final aspects of the Oilers team with forwards today and defencemen and Goalies in the next two article's, I will also be putting out a final 2014 NHL Entry Draft Ranking following the Draft combine. Let's get to the point of this article today. The Edmonton Oilers forwards that are locked, loaded and ready to go for 2014/2015? Ok, maybe their not ready but at least let's discuss where they are currently are at and where this team could be headed with what they actually have sitting in the wings. As we walk through the list of players at forward there are some given players that are likely to be going nowhere. How will they make the changes and will an important part be sent away? Only MacT really knows but that next move will either move this team forward or it will cost MacT his job in the future. First let's be realistic about who is staying regardless of offers and who potentially could be dealt away. As we walk through the skilled forwards, the idea is to fairly analyze their place on this team with logic and deduction. The cornerstone of this franchise and a player who can be relied on 90% of the time. Taylor is going nowhere and it's likely will be the captain in a year or two. He may not have a no-trade clause but unofficially there IS a no-trade clause on Hall within the Oilers organization, You win with players like this. Wait till he finally makes the post-season, players like Hall are money in the bank. Has been competing against the best in the game at every level and beyond his years experience for his whole hockey playing career. Took a big learning curve this year defensively but considering he takes on the others teams best defencemen and forward checking lines, he only stands to get better each year. On a team that has very little centre depth, other teams know that and that has been the mistake the Oilers have had. Very little centre position support. Coming off an off-season last year where he was recovering from shoulder surgery, this off-season is all about strength and conditioning. Get a good second line center (or even 1st line if possible) and watch RNH blossom. You don't find a centre of his skill set and hockey IQ often. Is untouchable unless they can fetch better in a trade and we all know in today's NHL, those trades don't happen. Jordan Eberle is as clutch as you can get. This boy has been waiting and itching to play a playoff game of importance for some time. Loves the city and loves the organization but as close as he is to Hall and company, he could potentially be the piece of the puzzle who can actually fetch something back in return. Don't want him gone but somebody with skill needs to go to bring in what this team needs. Another player of incredibly high skill but needs to be played according to his strengths. Some like to say his trade value is diminished but don't believe the lies. They are only opinions and several team scouts will tell you, Nail has game. His last 15 games he was turning the corner on his back checking and defensive awareness without the puck. His +/- was virtually 0 during that same time span. (which is almost never mentioned) Fans and media like to really run with a story and in Edmonton, Nail became the favourite whipping boy. Nail is going nowhere unless there is a way to pick up Florida's 1st rounder with him in the deal. (likely will not happen). Don't believe the talk he is too small for this game. Nail is strong on the puck and fights hard for it in battles. Not an easy player to knock over and knows how to dish it out occasionally as well. A player with his feisty attitude and jam for the net is not traded away. Unless there was an internal problem, he stays. Maybe a situation where they bring in a top 2 defender or a top 2 centre but we all know Perron would not fetch that type of player so time for speculation of being traded is out of order. Gagner must have been traded at least 15 times by media and fans in the last 2 years. This guy has more lives then a cat. I think the problem is less how good he is and more how he just doesn't compliment what this team needs. If he were to play with two thick bodies and quick wingers who could score maybe this would be a different discussion but right now, that's not the case. Can't see Gagner lasting much longer in Edmonton as their 2nd line centre. If they trade Eberle or Yakupov he could move to right wing (where he played with Cogliano his rookie year mostly) but if one of the other wingers are not traded, it will likely be Gagner who is finding a new city to call home. None of the other Oilers forwards on the roster are what you could consider top 6 forwards on a NHL team. They may be able to fill in occasionally but as regular top 6 forwards, the Oilers only potentially have the 6 mentioned above. Other forwards on this team will be role players only. So having said all that, who is in the system that could be a player in the future that the Oilers could use as a legitimate NHL forward? Below I have rated the % chance of them making a solid NHL Career. Chase produced some incredible numbers this past season. He has shown to have soft hands to go with his pesky side of the game. We know he is the type of player who will be in the scrums and try to get under the skin of his opponents. A player that was selected in the Oilers last round and looked good at training camp as well. His 1st year in the minor pro level will be the true test, if he can bring that level of play to the next level of hockey. His top end potential is maybe as a third line but more then likely will be a 4th line player should he pan out. I think many of us are rooting for a incredible career for this young prospect. I rate him at a 60% chance of succeeding. A big player who can guard and protect the puck well. I am concerned about his foot speed but has appeared to be a solid player in the making. He is a interesting player when it comes to development. This will be very a test year for him. He is a centre but IMO, I think he needs moved to the wing to stand a good NHL shot. Give him a 40% chance of succeeding at the NHL level. A highly skilled forward with not lots of size and more then likely will be used in a trade somewhere down the line but isn't that why you want your stables full of players who can bring back some assets down the road? Possibly stands a 40% chance of succeeding at the NHL level. Will just be glad when he actually signs with the Oilers. A very good talent, just not sure if his game will translate well to the smaller ice surface and game of the NHL. Likely will be coming over for the 2015/2016 season after he fulfills his contract with his KHL team. I see him as another player that could be potentially offered in a trade to sweeten a package. Has a 50% chance of making a NHL Career. A player many people are high on in this organization, including MacT himself. I see his top end potential as a 3rd line centre but he will need to improve his foot speed. 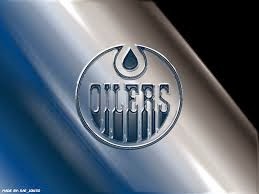 Likes going strong to the net so that can be a benefit to a team like the Oilers who lack that from too many forwards. Potentially a long term fix at our 3rd or 4th line centre role. I give Yakimov a 70% chance of a successful NHL career. While there are other forwards in their system, I rate their chances below 40% chance of actually making it to the big show for more then a cup of coffee. I predict with little available in the system as we can see, 2 of the 6 mentioned current Oiler forwards will be moved out and replaced this season. Who? Some combination of Gagner, Yakupov and or Eberle. It's all hypothetical but simple deduction tells you something is about to break and not to far away! What possible changes exist in the Oilers coaching staff? According to MacT Eakins is going nowhere. I have been very open about my thoughts on Eakins and what this team needs to do. Problem is? It doesn't matter what I think, it matters what MacT thinks and right now he has backed his coach 100%. MacT is going to run with Eakins, if he turns out to be incapable of bringing this team up to par in the playoff race next season, Eakins will be gone and MacT likely will only have one last coaching choice to make the team a success. For that to happen would mean another season (Year 5 of the rebuild) will have been wasted and this whole team will be blown up. I know lots of fans and media alike think Lowe and others are totally safe and this team's ownership is a old boys club but he is still a businessmen. MacT is only 1 year and a bit on the job and has replaced only 1 coach. He will get 2 swings at it if he has too. However saying all that, it is very unlikely that will happen unless Eakins starts next season like he did last. Eakins came across last off-season like the 'Lone Ranger' riding his white horse and how he was the 'man' who would be better then the previous regime of head coaches. He came across to many of us as smug, arrogant and self-righteous. He made claims that you play bad, you watch from the press box. Did he follow through with that equally among all his players? Nope! Not at all. He said no favouritism yet he showed it by scratching Yakupov for his poor play on the ice but not other elite players who were constantly causing Oilers games with poor defensive play. Who else was scratched for bad play last year other then Yakupov? Petry! Yup, that's it! No others. Granted, Hall and even Eberle while struggling earlier on, at least they were putting pucks in the net and contributing to goals for the team. What about Ryan Nugent-Hopkins (who I do believe in and believe is a excellent player) and Sam Gagner? What about Andrew Ference? Oh, yes, Andrew while a awesome guy and person made so many blunders out there at bad times but he's the captain and Eakins was not going to bench him. Some thing went wrong between Eakins and Yakupov and for Nail's part, after the debacle with his agent Larionov, Yakupov showed great character and said the right things on and off the ice. When it comes to putting in the work, Nail is no slacker. Enough with Nail as this is not about him but more about the way Eakins coached and taught him and used him and others. No matter if I like it or not, Eakins is here to stay. I predict he has till the trade deadline next year to keep his job secure. If the Oilers are already out of the playoff race by trade deadline, Eakins will go (it happens, see what happened in Vancouver?). What will happen with the start of next year? Well, it's all speculation anyway but some things simple deduction will make it easier to read into the 'hockey leaves'. Not sure what Keith really brought to the table last year that really helped Eakins and if he did, we would never know what. There are many coaches who could do a much better job then Keith especially since there are so many technical coaches who can add to what this team needs. Action was a good soldier but we all know what happens to good soldiers. They are expendable! I can't see Action going anywhere this off-season as Eakins selected him but really IMO he needs replaced with more experience and a coach with a better resume. Keith likely stays. This is a choice that many people behind the scenes believe was MacTavish's decision. MacT loves Smith and believes he has brought good success to the development of the defence. MacT likely chalks up the poor defensive play early in the season to Eakins running with his 'swarm' philosophy in the NHL. MacT stated Eakins was learning on the job and likely believes it was a mistake learned. Unless all the coaches are cleared out under Eakins, Steve is in Edmonton at least one more year working with the defence. This is the most puzzling of all the coaches decisions. Ever since his selection to coach the Springfield Falcons in the AHL, Kelly has not proven anything he adds to anyone other then someone above him I suppose. He did not look good as a head coach in the AHL and certainly not showed anything to us fans or the players that his coaching ability is better then others out there. The fact that he keeps lasting through head coaches is what scares me of the legitimacy of his coaching ability. It really makes no sense. While I see the other two coaches maybe staying on to start the year, I really question if Kelly is back to start the year as a assistant coach. Possibly let go and moved into a scouting area or player development or some fancy named position? Call it a hunch but I think we won't see Buchberger in the same role starting next season. Things really went wrong for Chabot when Barry Trotz let out his concerns with Devan Dubynk upon a couple games playing in Nashville. Those words resonated around the NHL, so you have to believe they were heard and examined closely within the Oilers management. I have seen a lot of Chabot's work with development of the Goalies over the years. He works hard and seems to train well on the technical tools they need to practice and work on. Some may just say the players given to him are not good enough. Goalies are a different breed and a Goalie coach is actually much more like a head coach when it comes to the goaltending position. The coach himself does little for the Goalie but the Goaltending coach is the one who prepares, teaches and trains and gets into the psychology of a goalies mind. Saying that,, there are not many great goaltending coaches and when you find one, you run with him. Rumours persist Fuhr one day returning to Edmonton but for now that is still speculation. I tend to see Chabot on his way out. Next article we will discuss and look into what possibly is going to happen with the forwards on the Edmonton Oilers hockey team. Any Changes upcoming in Oilers Management? 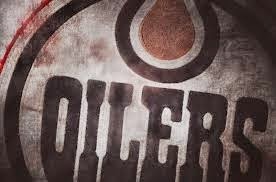 First up in our look into what changes can or will happen with the Edmonton Oilers next season in regards to Management. We know their is a Lynch mob waiting to crucify Lowe in the City of Edmonton. Even the fans at the arena are calling for his head. The only constant left through all these years is Kevin Lowe. The argument we hear from Katz (the owner) and other members of the MSM is Lowe does not affect what happens on the ice. Do you believe that? Does not leadership start from the top down. Did he not move himself into presidency and hire Tamby to run this once storied franchise into the basement cellar of the NHL? Yup, same guy. Personally I like Lowe and everything he did as a player. I like him as a person but as management, not so sure he brings what this team needs. Still doubt that changing management (who is not a GM) matters? Lets take a look at 1 man who has proven that theory wrong on 2 occasions. His name is John Davidson! The following articles were written either after being in St.Louis or after and moving to Columbus. All we have to do is look at the difference in attitude that team adopted. It's the LEADERSHIP culture that he changes and what he expects out of all his staff , not to mention his selection of hockey minds to run that part of the business has a proven track record. "Davidson has said he is intrigued by the Blue Jackets, who traded the club's most recognizable and dependable commodity this summer, Rick Nash. The Blue Jackets are young with a promising list of defencemen but big questions in net and when it comes to scoring." 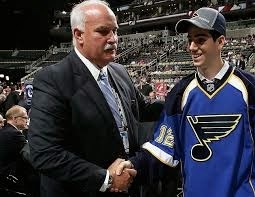 "Davidson was brought into the organization in December of 2005 when the Blues were in the basement of the NHL. Davidson wasted no time in improving the front office. Al MacInnis was promoted to vice president, Dave Taylor became involved with player personnel and when GM Larry Pleau had to step down to senior adviser, Davidson made his best hiring in Doug Armstrong for the GM position. If any one person should be credited with the rise of the Blues, it is Davidson. Davidson knew exactly who he needed in the GM positions to make the team homegrown and into contenders, even if it would take a few years." Not bad recommendations by several writers and if you examined the ownership of NHL teams many would love to have this man running their ship. I realize he is only 1 man but that 1 man is also only a PRESIDENT of an NHL team, just like Kevin Lowe. Nobody can convince me that the position of President has no impact on the ice. It won't happen before the season starts but another bad start next season for the Oilers and Kevin Lowe's position WILL no longer be secure, after all you can only live on your 5 Stanley Cup rings for so long and you can only give the same excuses for so long. The only way Lowe will continue in management is if the Oilers make a strong push for the playoffs right up to the bitter end. Anything less and IMO he will be let go. Love the guy but winning franchises have to know how to let go of not only players but management and coaches that have expired dates on their resume when it comes to winning. Next article, we will discuss the area of coaching and examine how safe the Coaches are within the Oilers organization.